When Preston Holt died on November 18, 2018 at the age of 89, Northwest Pilot Project lost a staunch supporter and a dear friend. Preston worked as a banker for U.S. Bank for 17 years before becoming a self-employed real estate broker for his firm, OWL Investments. It was as a realtor that Preston became aware of the work NWPP was doing in the community. In the late 1970’s, Preston purchased the Abbey Hotel with two partners as a real estate investment. The hotel, located at 2250 W. Burnside, served as a residential care facility for 62 very low-income individuals who were either elderly or mentally ill. Through the years Preston maintained a keen interest in affordable housing for very low-income seniors. It was his experience and connections as a realtor that made it possible for the City of Portland to preserve the 133 unit St. Francis Hotel in 1993, when it was threatened with closure and conversion to another use. Preston connected city officials to the elderly owner of the St Francis, and assisted the city’s realtors in completing the transaction. The housing of 133 very low-income seniors and disabled adults was saved because of Preston. Over the years, Preston was involved in all major advocacy effort to preserve affordable housing in Portland, and became involved in collaborative efforts to build new housing. These resulted in thousands of units being developed for low-income individuals and families in Portland. 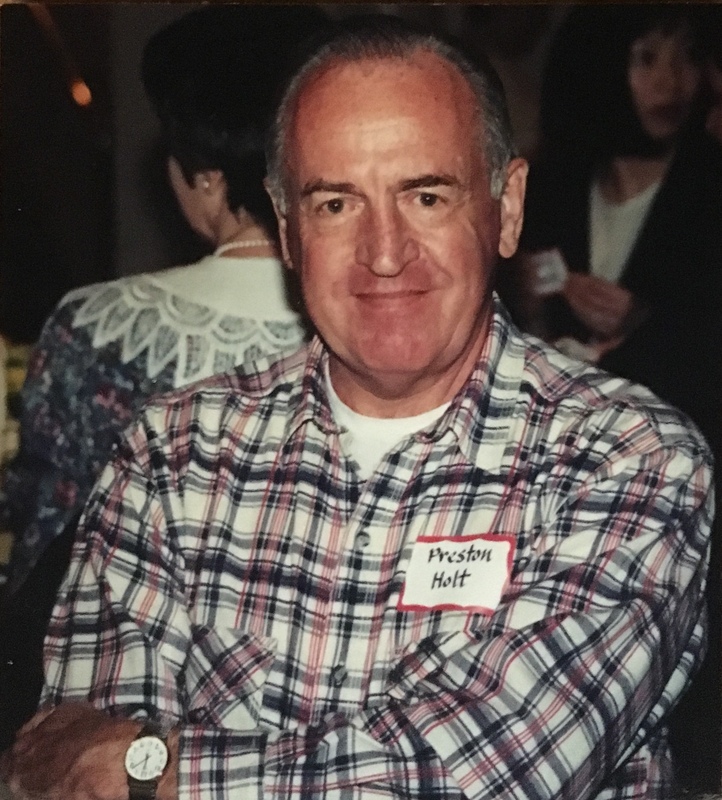 Preston spent countless hours serving on community boards including the Outreach Committee at Trinity Episcopal where he was an active member for 40 years. He was one of the board members who hired former NWPP Executive Director Susan Emmons in 1987. Susan told us: “Preston was someone I could always count on. He had a terrific sense of humor, but was utterly serious about the work at hand. I admired his ability to get to the heart of the matter, and his quick understanding of the complex issues we faced on a daily basis; his willingness to do whatever it would take to provide housing and food for seniors in need. It was not unusual for me to get a ride home from a Board meeting with Preston in his truck, and find it filled with food or other items that he was delivering to a low-income building, or to NW Portland Ministries (now Lift Urban Portland). When I would try to commend him on his service he would say it was no big deal. But to the seniors who benefited, his commitment meant everything.” Preston Holt was an exceptional person, and a pillar of the NWPP community. He was a man of principle who put his faith into action, and believed that everyone deserved to live a life with dignity and hope. We loved him, and will miss him. Preston’s family has asked that contributions in his memory be made to Northwest Pilot Project, Lift Urban Portland, or Trinity Cathedral Outreach.